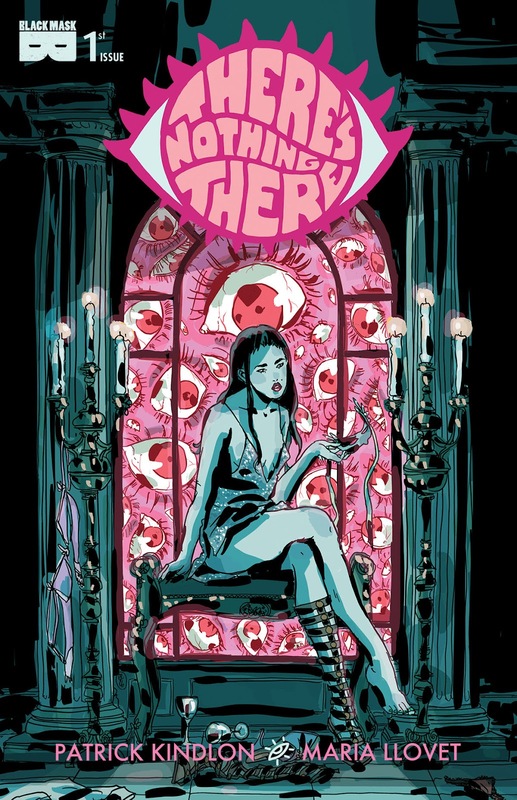 The Fellowship has obtained a first look at THERE'S NOTHING THERE #1 from Black Mask Studios. 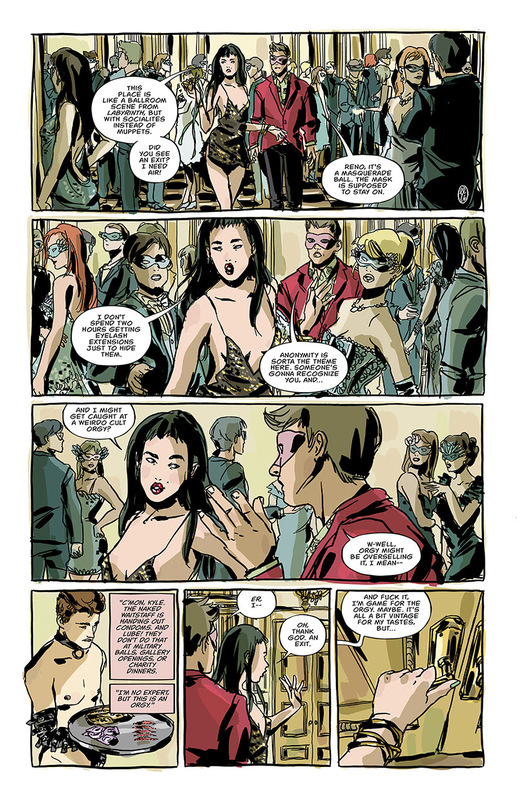 The issue, which hits stores April 26th, is written by Patrick Kindlon and illustrated by Maria Llovet. 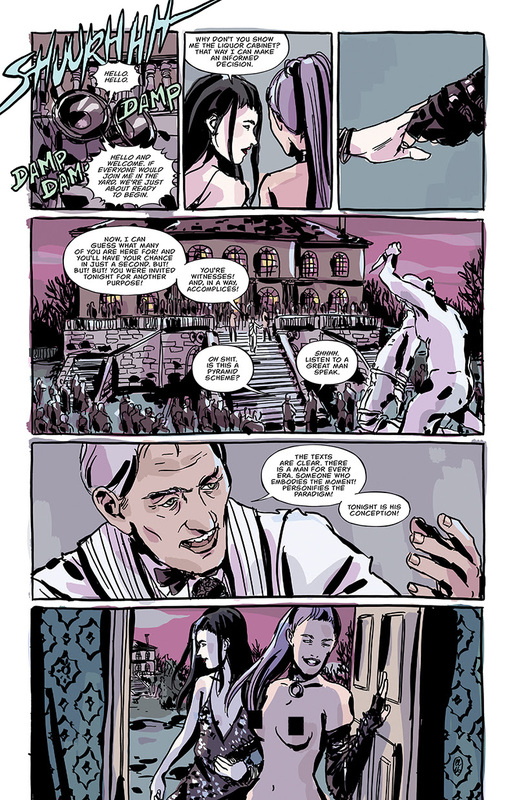 The covers are by Maria Llovet and Alexis Ziritt. Like Darren Aronofsky remaking DRAG ME TO HELL, There’s Nothing There is a stylish & hallucinatory thriller about losing yourself in the bright lights and finding yourself at rock bottom. 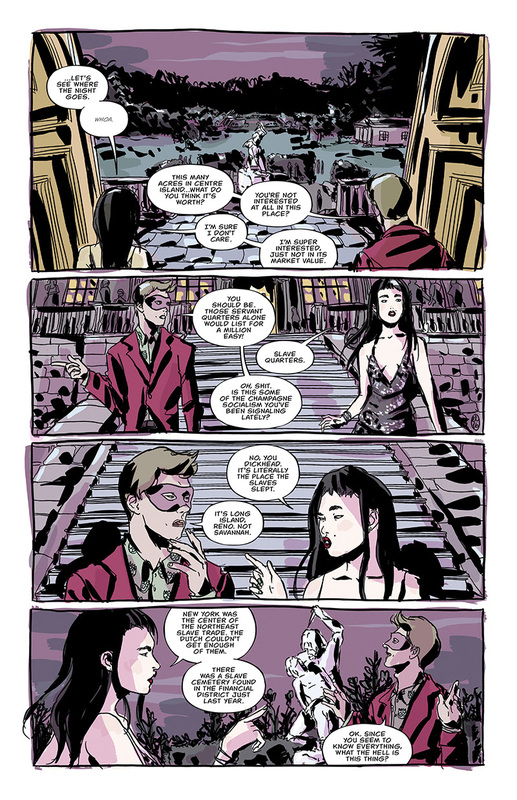 By new artist Maria Llovet and writer Patrick Kindlon (We Can Never Go Home, S.H.I.E.L.D. : Quake).